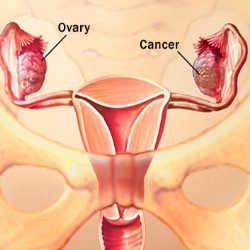 Ovarian cancer is the deadliest gynecological cancer. It has been labeled as the “silent killer,” because it is usually detected in advance stage, when it is often too late to save the patient. Though it is true that ovarian cancer symptoms usually show up in the late stage, there are early warning signs. Recognizing the early ovarian cancer symptoms is the key to beating this disease. Earlier it was believed that ovarian cancer showed no signs or symptoms in the early stage. However, latest studies have shown that the disease does show certain symptoms in the early stages. The problem is that these symptoms are similar to symptoms associated with PMS, constipation, gastrointestinal problems, urinary tract infection, and stress. Due to this, the symptoms are often ignored by the patient herself or misdiagnosed by the doctors. This has happened with thousands of women. In many cases, the disease was only diagnosed when the symptoms became very severe and persistent. In many of these cases, it was often too late for the doctors to do anything. This is one of the most common symptoms experienced during the early stages of ovarian cancer. As you might know, pelvic pain is also associated with ovulation and premenstrual symptoms (PMS). So, you might ask how should I differentiate between a PMS pelvic pain and ovarian cancer pelvic pain. The pelvic pain associated with PMS and ovulation occurs only during periods and ovulation. In other words, if you are experiencing pelvic pain for more than two weeks and you are not having your periods, you should see a doctor right away. Just keep in mind that persistent pelvic pain that occurs due to no apparent reason is a warning sign that should not be ignored. 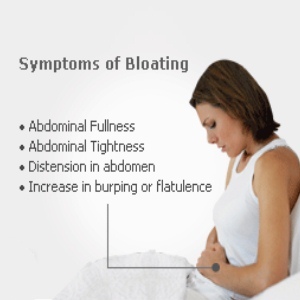 Bloating is another common symptom of ovarian cancer and we also know that bloating is quite common during PMS. However, if you feel bloated every day and regular gas relieving medicines do not provide you relief, it is a sign that something is wrong. The American Cancer Society has advised that, if you experience bloating for two weeks or more, you should go see a doctor right away. If you notice that for the past couple of weeks, you start to feel full as soon as you have few spoons full of your dinner, lunch, or breakfast. Though this symptom is often associated with some gastrointestinal illnesses, this is the classic symptom of ovarian cancer. In the early stage of ovarian cancer, women find themselves going to the bathroom more often. This symptom is often associated with urinary tract infection. If you notice that you have to urinate more often, even though your water intake is same as before, you need to see a doctor. Remember that if you have been experiencing this symptom for the past two or three weeks, you cannot afford to postpone your doctor’s appointment. The key point to remember about early ovarian cancer symptoms is that if you experience the above mentioned symptoms for more than ten or fifteen days, it should raise a red flag for you. Now that you know the early warning signs of ovarian cancer, you will be able to stay in tune with your body and know when to seek medical help. This can really make a difference in ovarian cancer.